Dishwasher maintenance is essential. Cleaning your dishwasher and looking out for early signs of trouble saves you from spending hundreds of dollars on repairs - or even more on a premature replacement. 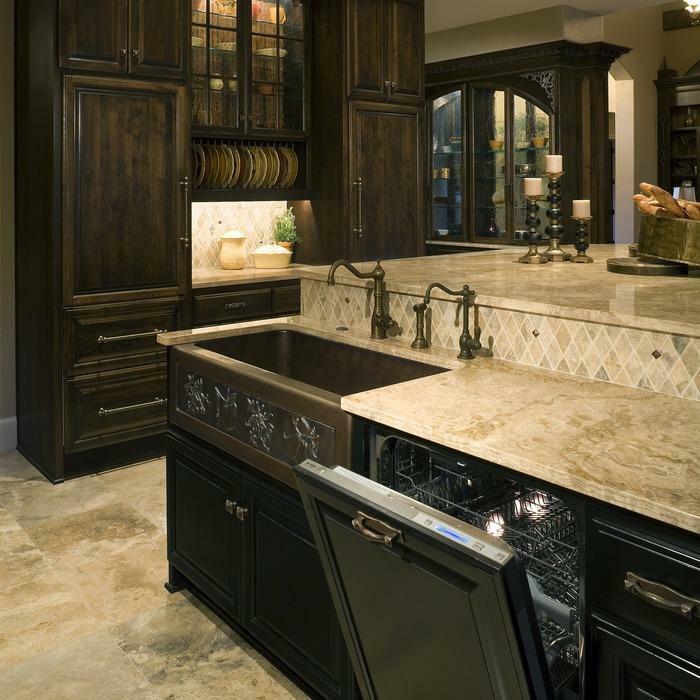 Follow the tips below to keep your dishwasher in top shape, otherwise you might have to hire an appliance repair professional. 1. Check The Sprayer Arm. Sometimes, the way you load the dishwasher can put utensils or plates in the way of the sprayer arm’s rotation. The holes of the arm can also become clogged; use a toothpick or another item to dislodge whatever is stuck. 2. Check The Drain. Look in the bottom of the dishwasher and remove any food or other clogs from the filter. Then, run the garbage disposal to clear out the drain they share. 3. Check The Water Heater's Temperature. Make sure your water heater is between 120 and 125 degrees Fahrenheit. Otherwise, your dishes are not being washed appropriately. If it’s too high, your dishes will not be flash dried and the dirt won’t come off. 4. Test The Water. There’s a chance that minerals are making your water hard. This includes salts like magnesium chloride and calcium chloride or other ground minerals. It leads to cloudy residue on your dishes and the washer itself. If that’s the case, you should have a softener installed for about $850. 5. Clean The Dishwasher Trap. In the very bottom of the dishwasher, under the sprayer, is a removable trap that will likely contain pieces of food that didn’t make it through to the drain. Sometimes, the tray will come out completely, and sometimes it won’t. Clean it out regularly. 6. Clean The Dishwasher Seals. Over time, your dishwasher seal (i.e. what keeps the water from getting out during the wash) accumulates debris around the rubber. Clean the rubber gasket with a damp towel so the grime doesn’t build up and break the seal. 7. Clean The Inside Of Your Dishwasher. Inside your dishwasher, there’s the potential for grease, detergent residue and calcium buildup. Use vinegar to wash all of that away. Run a cycle of the dishwasher with vinegar only (no detergent) every few months. It helps to keep the dishwasher clean. This article from ImproveNet includes more good cleaning tips. 8. Don't Confuse Scraping With Washing. Never throw dishes in the dishwasher with food on them. And don’t just rinse them with water either. If there are hard-to-remove food scraps on your dishes, use a utensil to remove them. 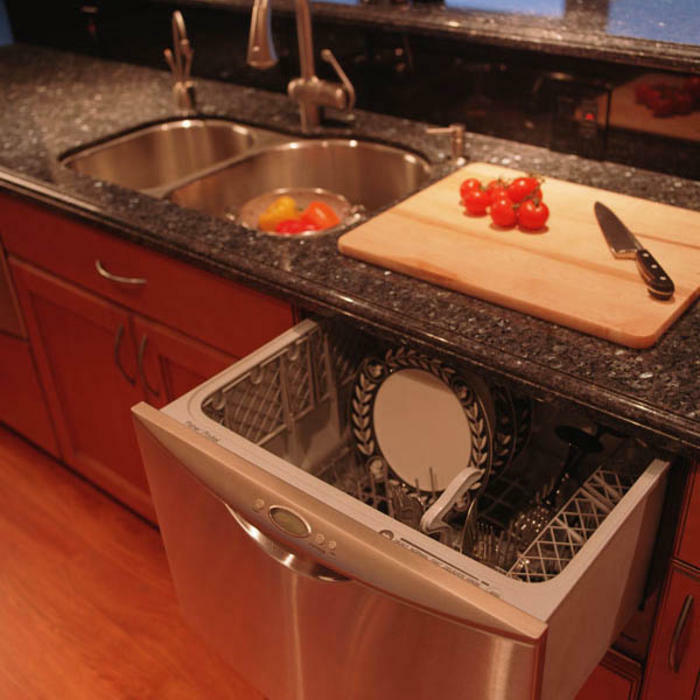 The dishwasher won’t always be able to remove them, and you don’t want to clog the drain. 9. Don't Overcrowd The Dishwasher. While you may want to get all of the dishes you can into your dishwasher, you also don’t want to block the sprayer arm and come out with dirty dishes. Organize it well; maybe compromise and hand clean a few dishes. 10. Don’t Overuse Detergent. It’s not always necessary to fill the detergent cup. Some dishwasher manuals will tell you fill it only one-fourth or one-half of the way. Check your dishwasher’s manual.